Sprucing up your home with a fresh coat of paint can instantly improve your curb appeal, but the process involves more than choosing colors. Painting your home is a major project that will require you to seek out estimates from reputable painting professionals in your area to ensure you will be getting a good-looking, high-quality paint job. A professional painter will need to survey the job as the first step toward preparing an estimate. While you may be able to give a thorough description over the telephone or in an email, a personal visit is the best way to ensure the estimate is complete and that there will be no surprises. During this face-to-face visit, you should freely discuss your concerns and communicate any specifications or needs for the project. 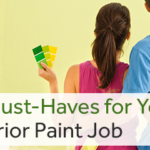 Many contractors use their preferred brands of paint. During this first visit is an excellent time to discuss their recommendations and any brand preferences you have—before costs are calculated. Any quality contractor will clearly communicate the full scope of the project and provide a well-written estimate. An estimate is more than a projection of what the project will cost. Important details such as project summary, timeline, payment specifications, and contact information should also be included. A contingency plan in case of rain should also be discussed and clearly understood by everyone. Carefully review the estimate to ensure everything you discussed during the estimate preparation visit is included. If anything is missing or if you think of something you missed during the inspection, bring it to their attention immediately, as it may affect the scope of work or cost projections. 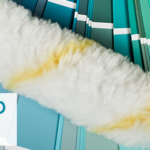 There is more that goes into painting your home than applying the paint. As with most painting projects, the care with which the surface is prepared will determine the quality of the finished product. Dirt and debris should be removed from the exterior of your home for the paint to properly adhere. An estimate for painting should include this process. 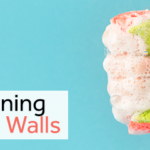 Power washing will remove most of the grime, but there may be areas of your home that are not reachable by the power washer or are too delicate for the powerful spray. Hand washing these areas should also be included in the estimate. The process of preparing surfaces for painting will vary from home to home. 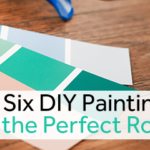 Examples may include removing loose or peeling paint, filling gaps with caulk, and priming bare wood. All steps to prepare and protect your home should be specified on the estimate. Also, consider the necessary measures to protect your landscaping and other non-painted areas during the painting process. Part of the process of getting an estimate should include accurate measurements of your home to determine the type and quantities of materials needed to properly do the job. The contractor should include the exact type, grade, finish, and brand of paint they will need to do the job. The contractor should also specify how the paint will be applied, the number of coats, and the total amount of paint needed. It is customary for the contractor to add on 10% to the quantity of paint needed to allow for any waste or error. 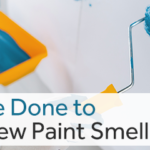 Your painting contractor will need many supplies besides paint to complete the job, including high-quality brushes, rollers, sprayers, drop cloths, caulk, tape, masks, and cleaning supplies. And, of course, there will be a crew doing the work. Whether the team is large or small, their pay will be included in the estimate. Clearly communicating expectations about payment is paramount. It is not unusual for a contractor to request a deposit in advance with payments made during the course of the job. Others may request a one-time payment upon completion. Whatever the arrangement, it should be spelled out on the estimate and include any payment deadlines. One of the marks of true professionals is the inclusion of a final inspection on the estimate. The final inspection is when the contractor notes any last touch-ups or areas needing clean-up or other attention. They should follow up on these items in a timely manner and ensure your complete satisfaction with the work they have performed. If there are any concerns, your contractor should address them at this time. Painting your home can be a daunting process, but it doesn’t have to be with a team of professionals on your side. Our experts at Atlanta Painting Company will provide services from color consultation to a final walk-through; providing exceptional service every step of the way. Contact us for a free in-home estimate on the exterior painting of your home.